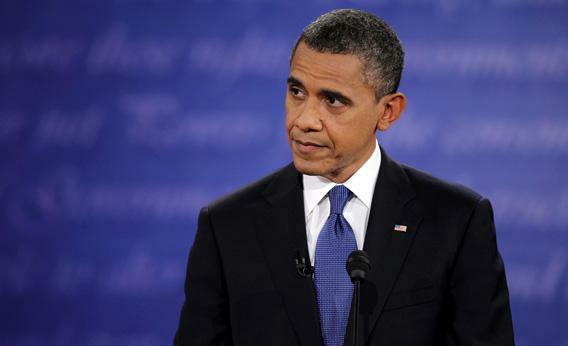 Obama debate lacked passion: What the president should have said to Mitt Romney. Obama Lacked Passion. Here’s What He Should Have Said in the Debate. President Obama speaks during the debate on Wednesday in Denver. Too much has been said already about the debate, but let me add this short thought. What was lacking most fundamentally from the president was passion—passion for the job he has done, the accomplishments he can fairly claim, and the belief that the tough decisions he has made are correct for the American people. Quite frankly sir, from the comfort of the economic recovery my policies have begun to create, you are now second-guessing the tough choices I made that have brought this nation back from the precipice of economic collapse—an economic collapse that was created by the very policies you want to embrace once again, a precipice that was far deeper than anyone appreciated when I entered the door of the White House, an economic threat that was the direct result of the disregard my predecessor showed for the warnings he was given by those who understood the cataclysm that would result from his policies—and from your policies. So, sir, while I will not claim that your comments about 47 percent of the American public merely wanting to be dependent upon government reflects a callous disregard for these folks on your part, I do suggest that it reflects a fundamental misunderstanding of the American people, of how our nation was built, of how we have all reached for a helping hand at some point, how we all strive to succeed, how we are not all born with the financial wherewithal to find that success, and how those who have succeeded have always recognized the mutuality of our obligations to one another. We see the world very differently—and the choice we present to the American public could not be more dramatic. Even though I can imagine that the president was told to avoid being aggressive, he was unfortunately stripped of the passion that the public always wants to see in a leader. Here’s hoping he finds it by the next debate.